Everyone thinks they know the history of the Las Vegas Strip. But the real story is both fascinating and not well known. What was there before the Bellagio, the Wynn, the Venetian, or those empty plots of land that look out of place? Why is the Flamingo one of the oldest and longest surviving hotels on the boulevard? Our new book, Gambling on a Dream: The Classic Las Vegas Strip 1930-1955 tells the story of that legendary boulevard in its formative years. From conception to implosion, learn the detailed histories of the first 10 hotels built on the Strip. The dreamers, who saw the future like few others and who built these hotels, helped turn a five-mile stretch of blacktop highway into the Entertainment Capital of the World. This is the story of the first twenty-five years of the Classic Las Vegas Strip—how it began, and how it grew. Visit our Historical Preservation Shop to purchase a copy of the book autographed by the author, and accompanying DVD featuring video interviews with the men and women who helped build Las Vegas! Buy now for only $22.99! Remarkable stories of the first 10 hotels on the Las Vegas Strip! With a foreword by author Alan Hess, this book looks at the dreamers who built the first hotels that helped make the Las Vegas Strip famous including Tommy Hull, Billy Wilkerson, Benjamin "Bugsy" Siegel, Wilbur Clark and Howard Hughes. It talks about the entertainers who performed there including Frank Sinatra and the Rat Pack, Judy Garland, the Beatles. 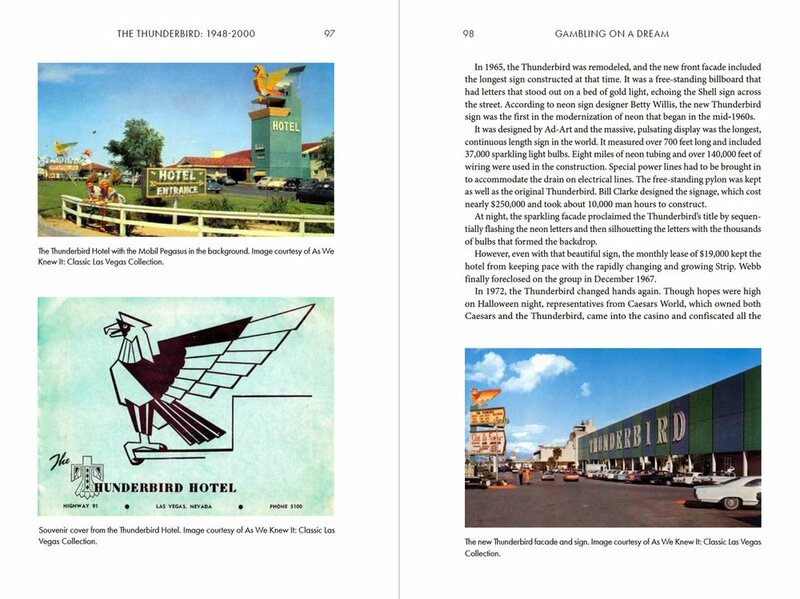 It also explores the myths - such as Ben Siegel's fever dream to build the Flamingo, that the ground beneath the Riviera would not support a nine-story building, Howard Hughes and the mob - debunking the myths with historical facts.